During the week of March 18, students at Elwood Middle School participated in Disabilities Awareness Week. Each day held different activities to help raise awareness and encourage students’ empathy towards disabled individuals. Students also attended a special assembly hosted by a young man who suffered a traumatic brain injury when he was young, but now visits hospitals around the country making up songs and creating cartoons to raise patients spirits. Students at Elwood Middle School participated in Disabilities Awareness Week, participating in different activities to help raise awareness and encourage students’ empathy towards disabled individuals. 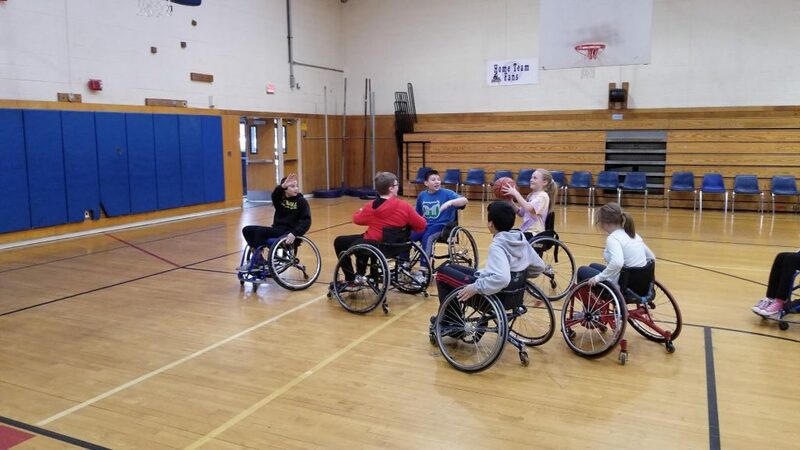 Students at EMS experienced playing basketball in a wheelchair to better empathize with physically disabled individuals during the week or March 18.